Due to the increase of financial support by the Portuguese Government, Portuguese organizations, businesses, and individuals, this year’s concert will be free of charge to the public. However, at the entrance, there will a freewill donation, if you so choose, that will go towards painting Five Wounds Portuguese National Church, which is celebrating next year’s 100th anniversary. 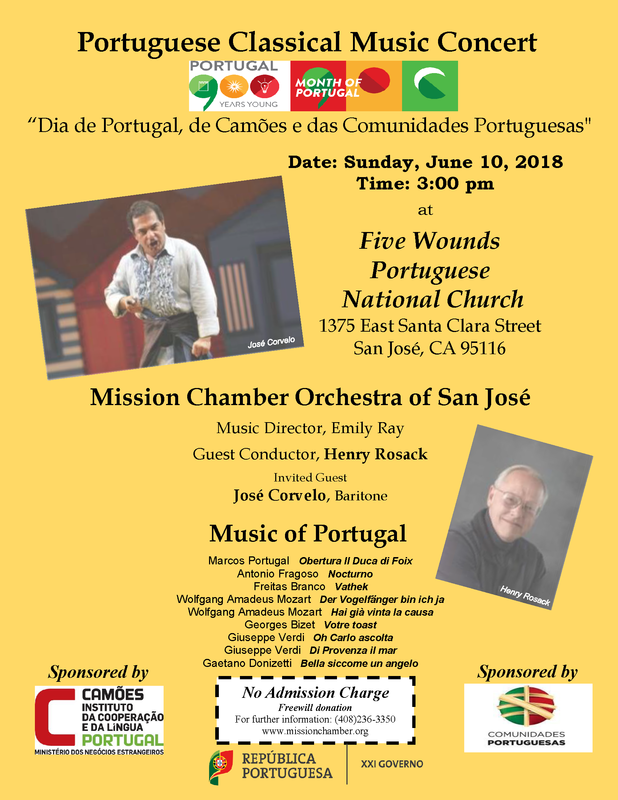 Please attend the 12th consecutive concert, free for the first time, integrated in the Month of Portugal celebrations – being called by many one of the most extraordinary Portuguese cultural events in California.